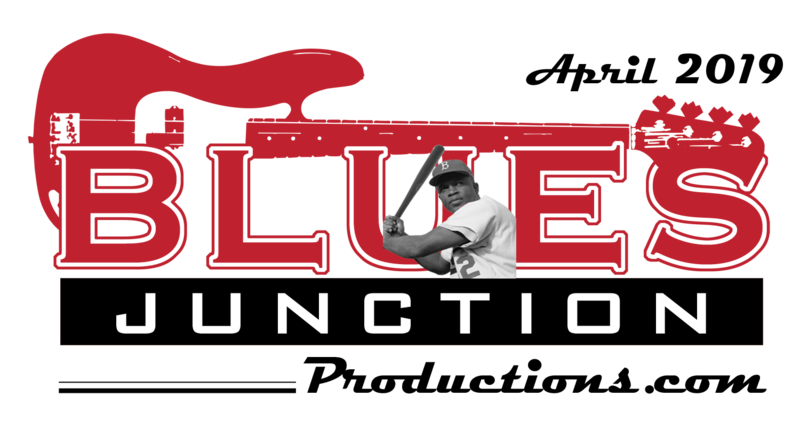 musicians in the most prestigious blues nightclubs and at major festivals around the world. The names read like a who’s who of the blues. They include Muddy Waters, Big Joe Turner, J.B. Hutto, Big Walter Horton, Otis Rush, Big Mama Thornton, Hubert Sumlin as well as Jimmy Rogers and that’s the short list. He was also a founding member of Ronnie Earl and the Broadcasters. However, Geraci is probably best known as a founding member of Sugar Ray and The Bluetones and after 35 years he remains an essential component of that band, which is still going strong. On October 16, 2015, Anthony Geraci and the Boston Blues All-Stars make their Delta Groove Music debut with their album Fifty Shades of Blue. The Boston Blues All-Stars are the same musicians Geraci has been playing with for parts of the last five decades. They include vocalists Toni Lynn Washington, Darrell Nulisch, Michelle “Evil Gal” Willson and, of course, Sugar Ray Norcia. As Geraci points out, “I don’t sing, so why not get the best.” Those singers are backed by guitarist “Monster” Mike Welch, bassist Michael “Mudcat” Ward and drummers Marty Richards and Neil Gouvin. The All-Stars take on thirteen Geraci penned numbers that are full of fresh original ideas which are applied to music that comes from many shades of the blues palette. On the album's third track it is Norcia who sings a more traditional blues, Sad but True. The song features some tasty slide work from guitarist Monster Mike Welch and some down home acoustic harp playing from Norcia. They set the pace for what is coming down the tracks which is the tune, Heard That Tutwiler Whistle Blow. The straight ahead Chicago grinder is thick with blues iconography as the song’s protagonist (Norcia) tells the tale of going to heaven via the train north where he can go to Detroit to build a car for Mr. Ford. Then the album goes off the rails with an adult contemporary sounding, popish number sung by Willson entitled, If You Want To Get To Heaven. You guessed it... “...you have to go through hell.” This number doesn’t work for me on any level, but what do I know? It is my understanding that this tune is the one that is a hit with blues DJs across the country. The CD rebounds nicely and Norcia sings a beautiful ballad entitled, Don’t Keep Me Waiting. Then it is back to the harmonica and voice of Darrell Nulisch who leads the charge on a great shuffle, The Blues Never Sleeps. The queen of Boston Blues Toni Lynn Washington checks in with Diamonds and Pearls. She does justice to yet another Geraci gem. Then it’s on to another great tune sung by Nulisch via, Cry a Million Tears. Track eleven is when we are introduced to the first of two instrumentals. In The Quicksand Again is a hard charging rock and roller that busts out of the gate like a thoroughbred. The song doesn’t let up until it hits the finish line. By the time we get to Your Turn to Cry it is obvious that Sugar Ray Norcia is nothing short of a national treasure. He has been plying his vocal prowess to so many different shades of blues for so long now that it is obvious he is on a very small list of the best vocalists of his generation. The great singers step aside for the album’s final track, Blues for David Maxwell. This instrumental is an inspired musical tribute to one of Geraci’s mentors and friends who left us earlier this year. Here Geraci’s piano playing is front and center. Three quarters of the way through this masterpiece the band cuts out and bassist Michael “Mudcat” Ward quotes Jimmy Garrison’s bass line from Coltrane’s A Love Supreme and then is joined by the rest of the band including Norcia, who plays a Native American flute. As Geraci told me recently, it is as if you can feel the spirit of David Maxell slowing floating away. It is a truly spectacular piece and a fitting conclusion to a terrific album. 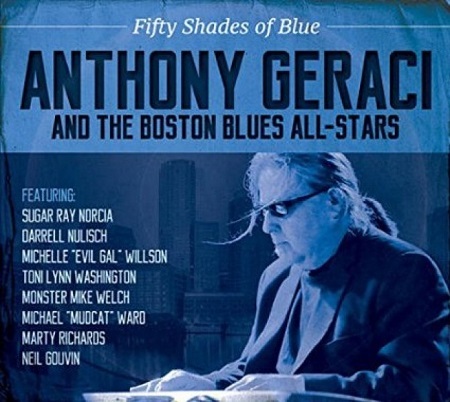 Anthony Geraci and the Boston Blues All-Stars’ Fifty Shades of Blue has all the elements that make for an enjoyable fifty four minutes of music. Great singers and instrumentalists are in service of some great original material. It doesn’t get much better than that.